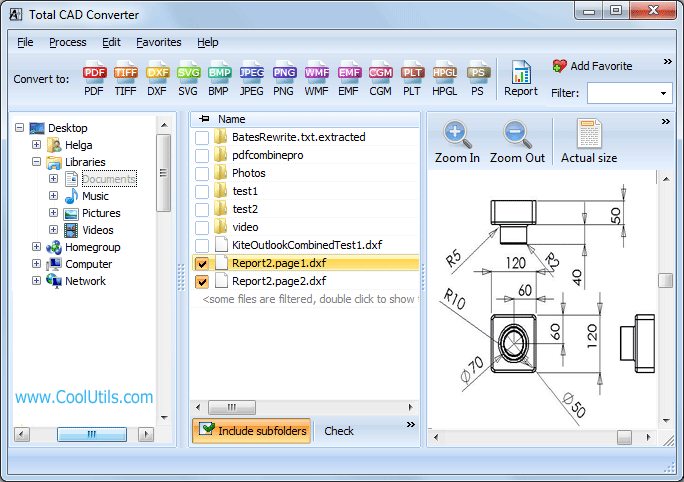 In PDF users can allow or forbid certain editing options (printing, high resolution printing, modifying, copying, etc.) for their drawings. 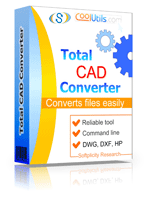 Total CAD Converter is a powerful converting tool with a lot of formats supported. Its purpose is to make files more compatible with standard applications by converting CAD formats to more common image or document file types. It also can convert files from one CAD format to another. 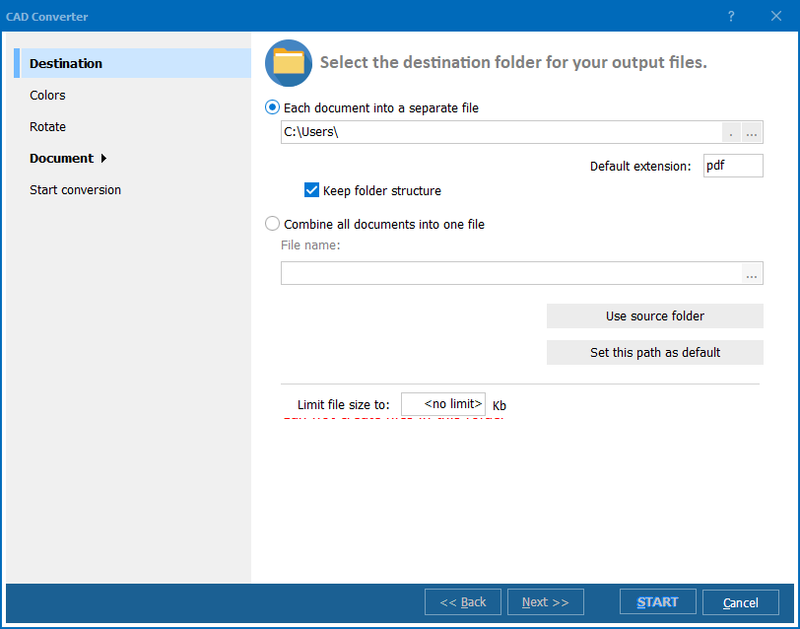 An option that combines DXF files to PDF document is located in the "Destination" tab of the wizard. It appears after selecting several source files for conversion and pressing on DXF icon at the top of the window. 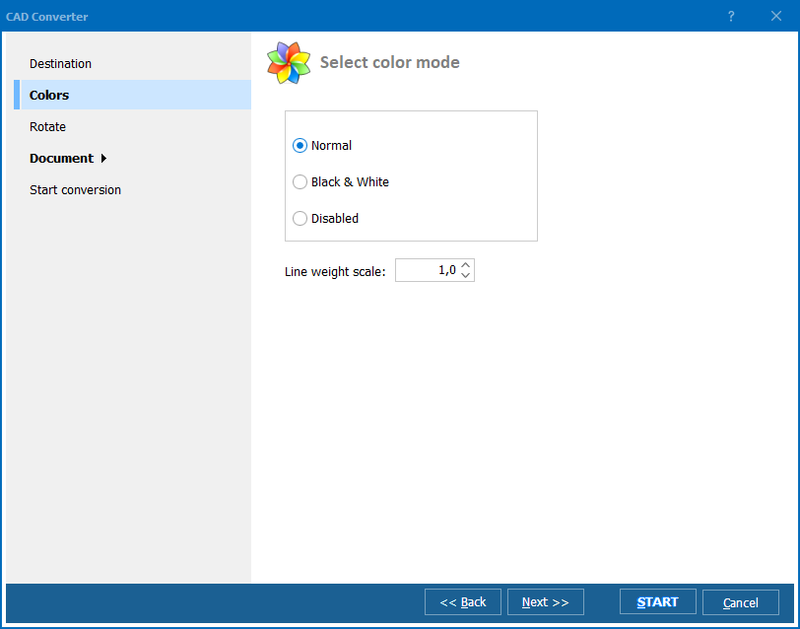 The program correctly exports designs and allows basic formatting inside, such as rotation, color selection, paper settings. Having a PDF copy of original DXF files, there is no need of AutoCAD to view or print them. To secure copies from inadequate use or unauthorized sharing, you can encrypt them with two passwords - admin and user ones. You can set permissions for user access. Electronic signature is also available in Total CAD Converter, as well as watermarks. All these features are optional. In a trial package all converting options for DXF format is on board. It's only limited by time of use - 30 days. Download it and try on your files!